The band will celebrate 10 years since the release of their second studio album this year. 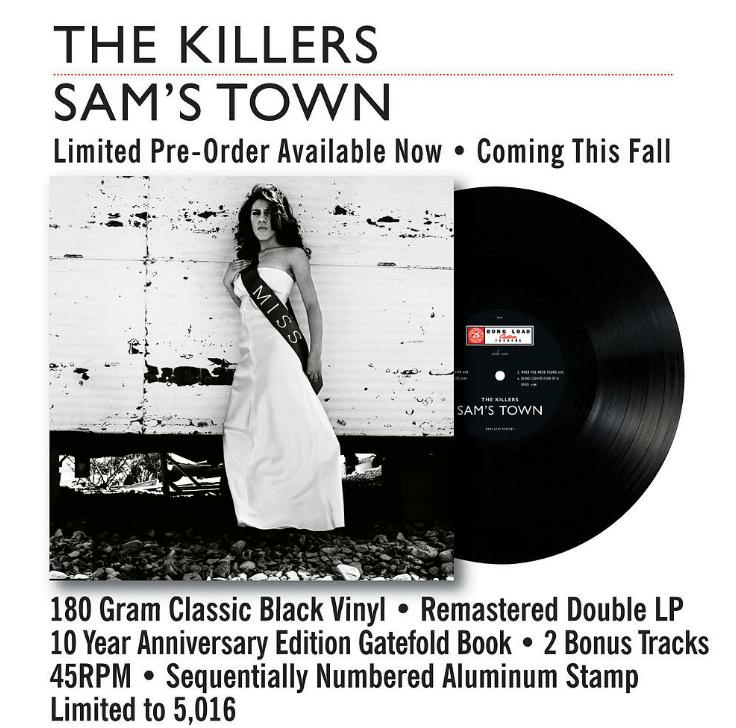 The Killers have announced the re-release of their Sam's Town record. The When You Were Young outfit will celebrate 10 years since the release of their second studio album this Autumn, by releasing a limited edition vinyl, featuring two new bonus tracks. Fans will have to be quick, though as they'll only be putting out 5,016 copies via Bong Load Records. The Nevada band also took to their website to announce that they will be "hosting a 2-day extravaganza" at Sam’s Town Hotel and Gambling Hall in Las Vegas on 30 September - 1 October 2016. However, fans might be set to see a slightly different line-up, after this year their bassist Mark Stoermer announced he was to quit touring with the band. Although Stoermer will still be recording in the studio, it is believed that Jake Blanton - who previously stood in for him back in 2013 - will now replace him on tour. In a statement to Alternative Nation, the band said: "Mark has decided to take a break from The Killers touring - but don’t be surprised if you see him on stage from time to time. Everyone supports Mark’s decision to take a break to pursue other educational goals and releasing a solo album. Fans can pre-order the album here.